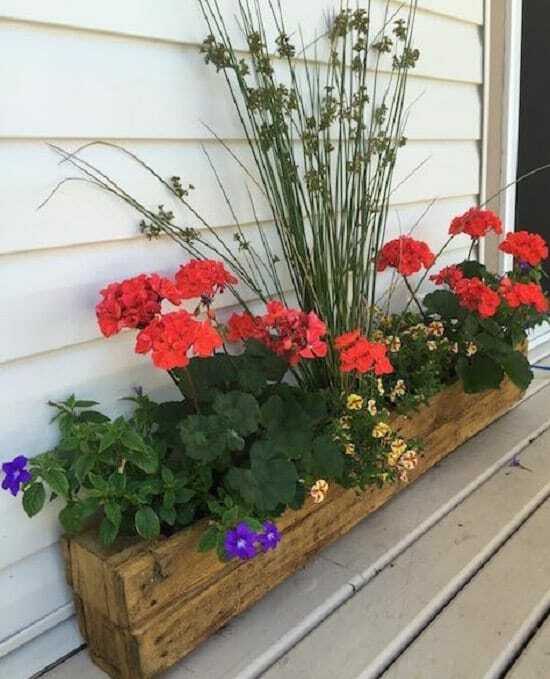 Beautify your front porch to increase your curb appeal with these 39 Impressive DIY Porch Planter Ideas in this article! 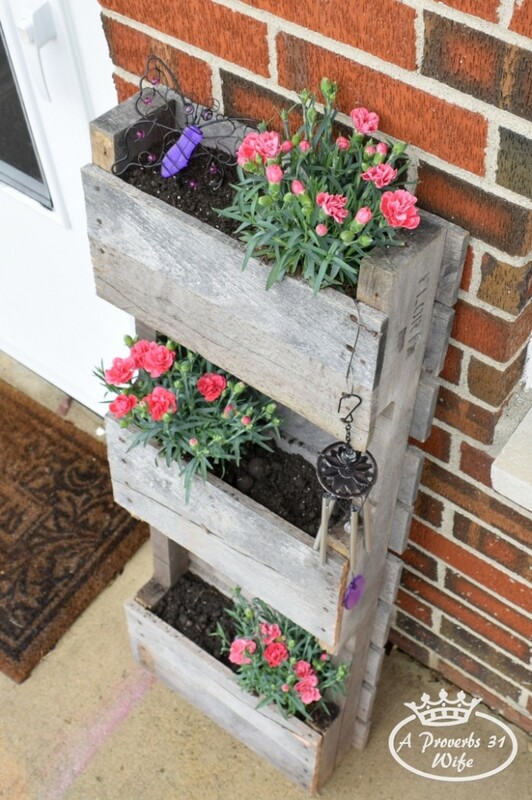 Cut the two ends of a pallet and use one slat to use as a bottom to make this front porch pot. Find the tutorial at Sow & Dipity. 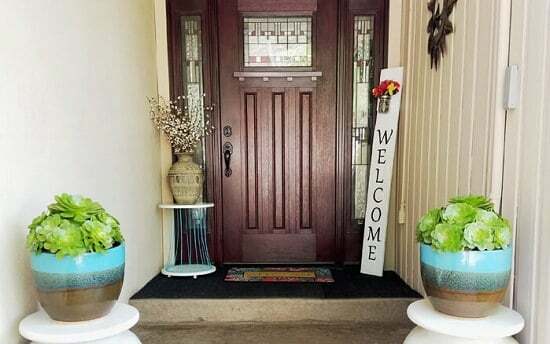 Create an appealing front porch hanging planter with some hardware tools and materials. Check out this article and this PDF to know more. 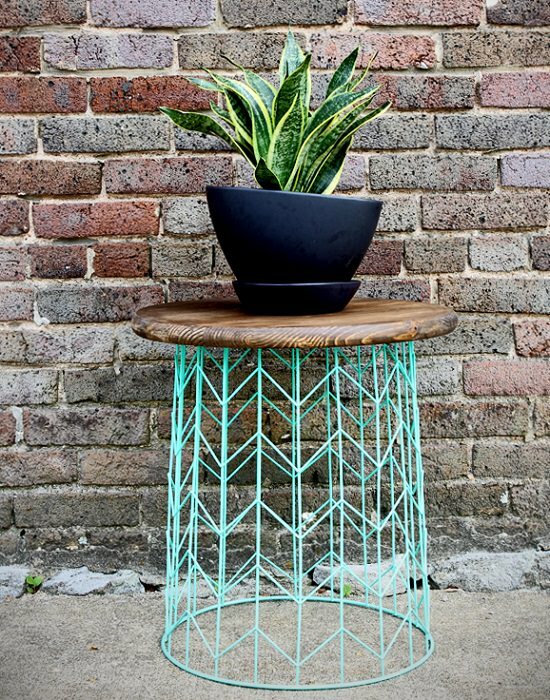 Make a wire basket side table to show off a planter on your entrance. Get the tutorial at Shabby Creek Cottage. 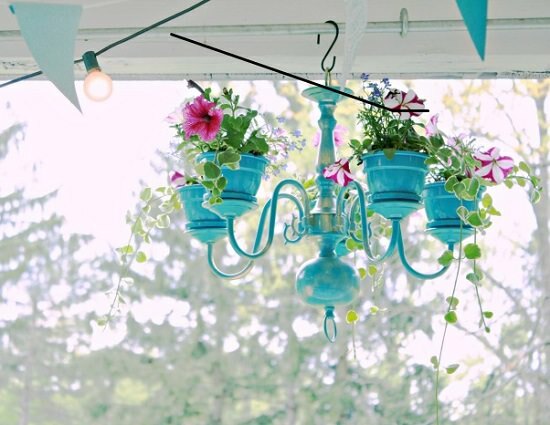 A chandelier planter can be an amazing addition to your porch! Understand the steps here. 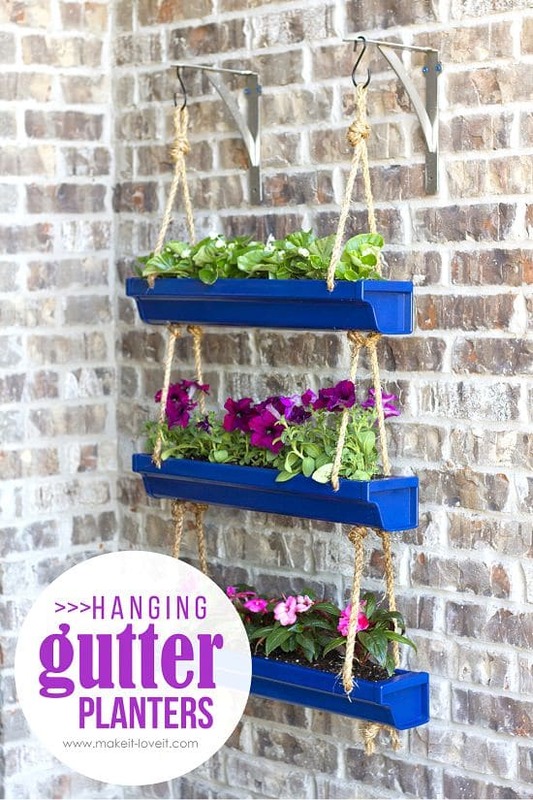 Find out more chandelier planter projects in this article. 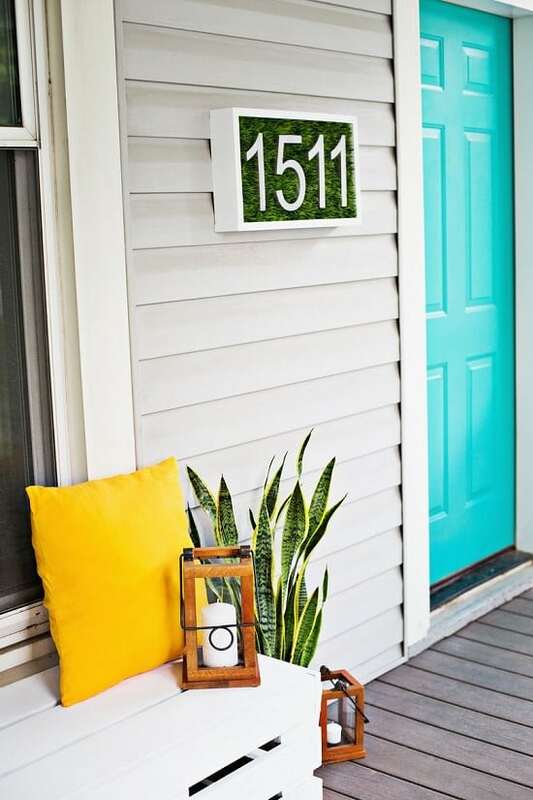 Display your house number in a contemporary style with this unique DIY project. 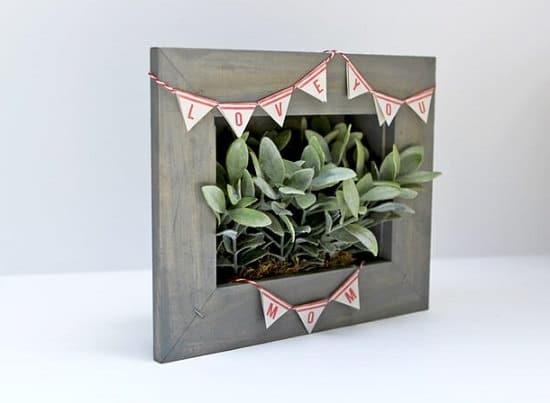 Build a picture frame planter to grow your favorite plants, or use faux plants, they way they used in this project. 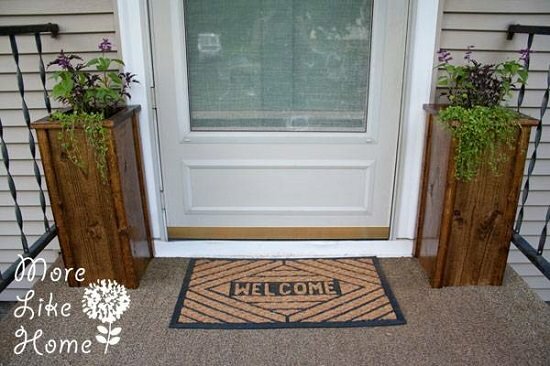 Add interest and style to your front porch by making this easy welcome sign with the help of this tutorial. 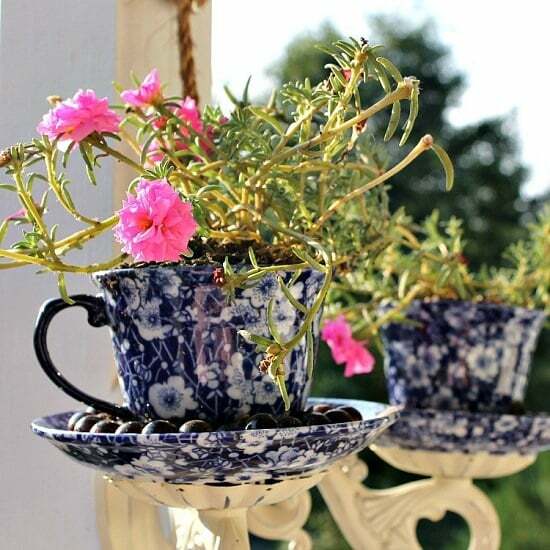 An easy way for the porch makeover is to age the ordinary terracotta pots for a rustic and vintage look. Follow this guide to learn more. 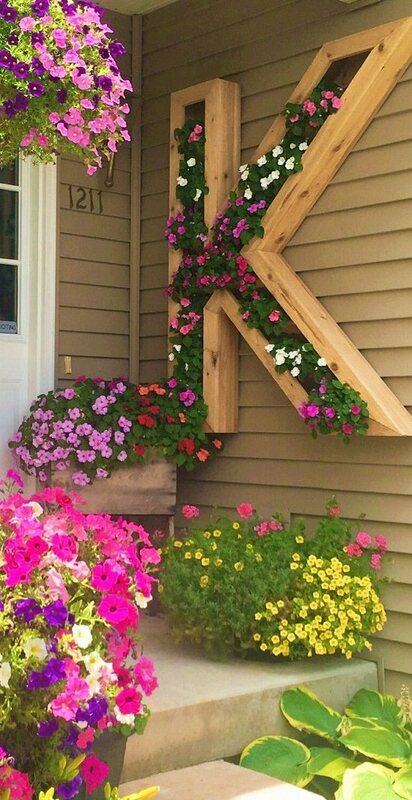 Transform your front porch area with this personalized letter planter idea. Take the inspiration from here. 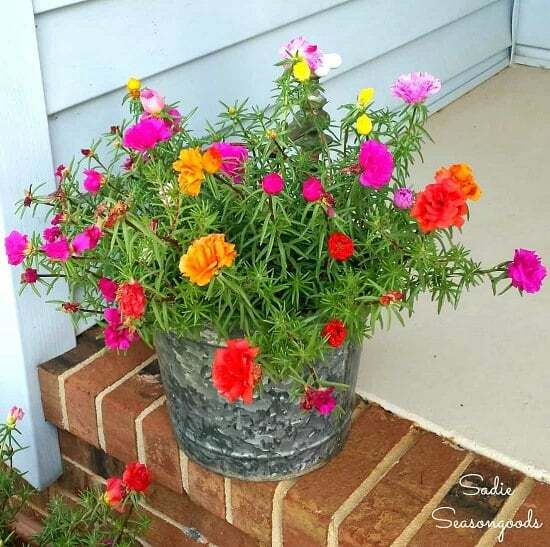 This idea was meant to be used as a mother’s day favor, but you can also use this to decorate your front porch! Follow the idea here. 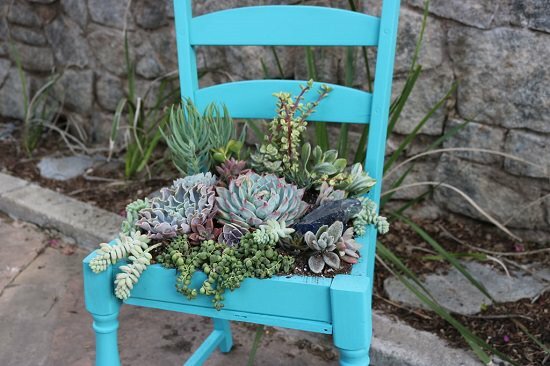 Upcycle an old chair into a succulent chair planter, which you can display indoors or outdoors! Visit the Instructables to get the directions. Recycle an old pallet to grow beautiful annual flowers to attract butterflies with this tutorial. 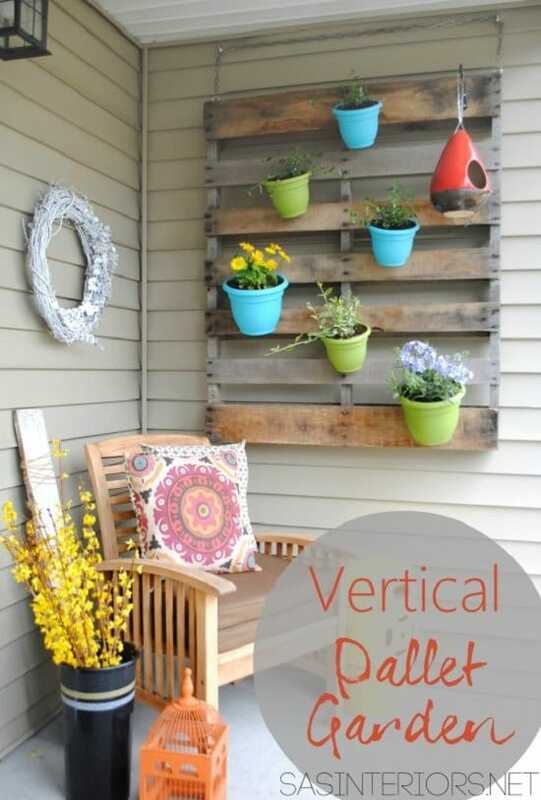 Make a vertical pallet garden adorned with colorful pots. Get the project here. 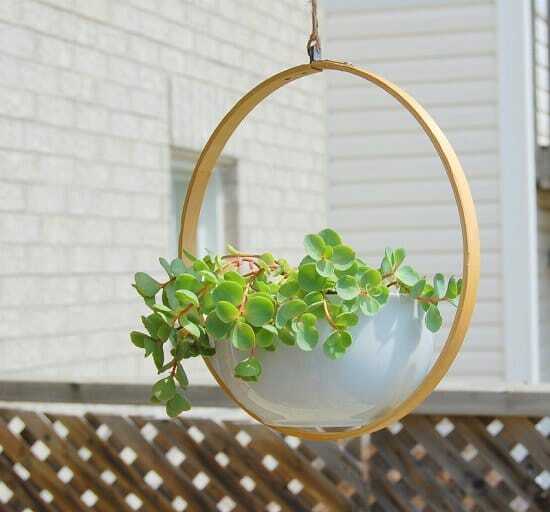 Use an embroidery hoop, a white bowl, and permanent adhesive glue to create a hanging planter for your patio or porch. The tutorial is here. 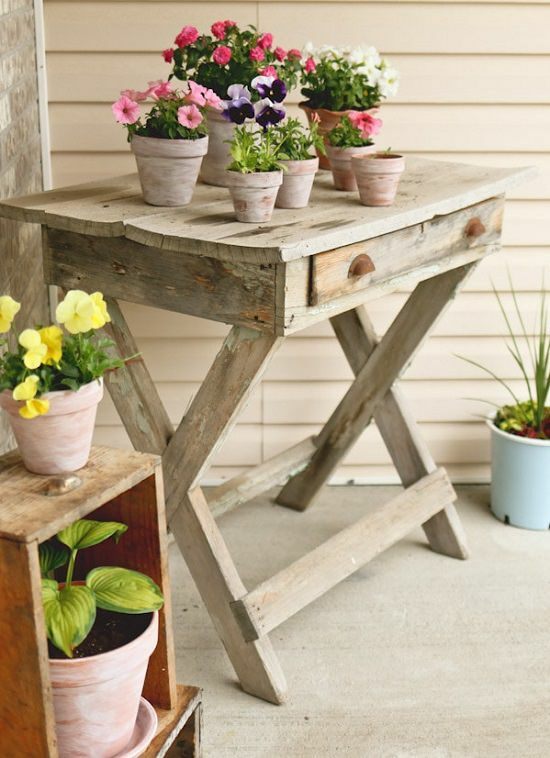 Exhibit your contemporary pots in modern wooden planter stands, which you can create from cedar planks and some tools. The steps are here. 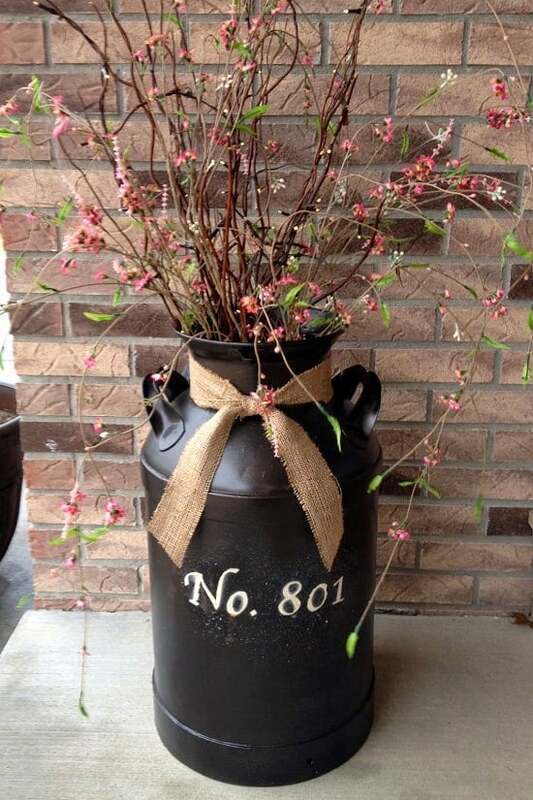 An old milk can was converted into a house number planter! How they did it is here. Manage room for a few more pots if you don’t have much space, with this stacked planter pot idea. 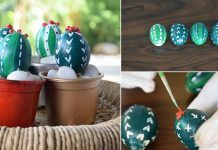 Try this easy DIY here. If you have been collecting colanders for a long period, this project will attract you. Check out the DIY article. 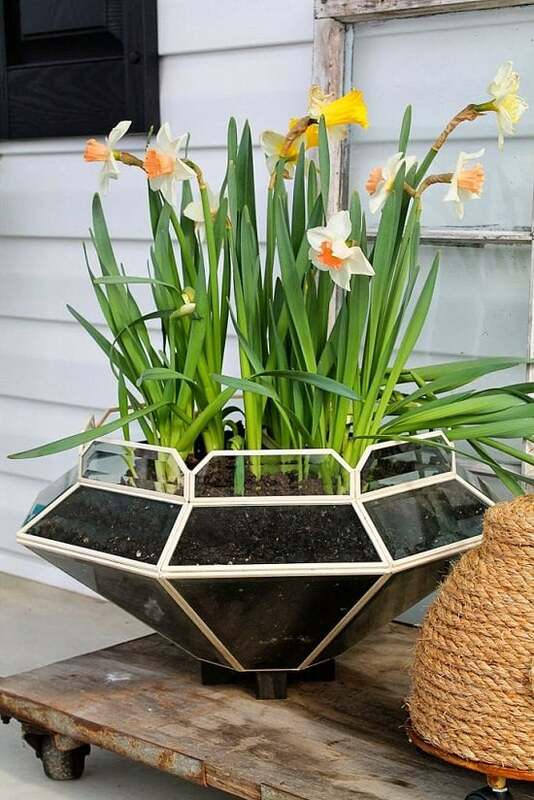 A light fixture can be repurposed to a unique planter. We found the idea here. 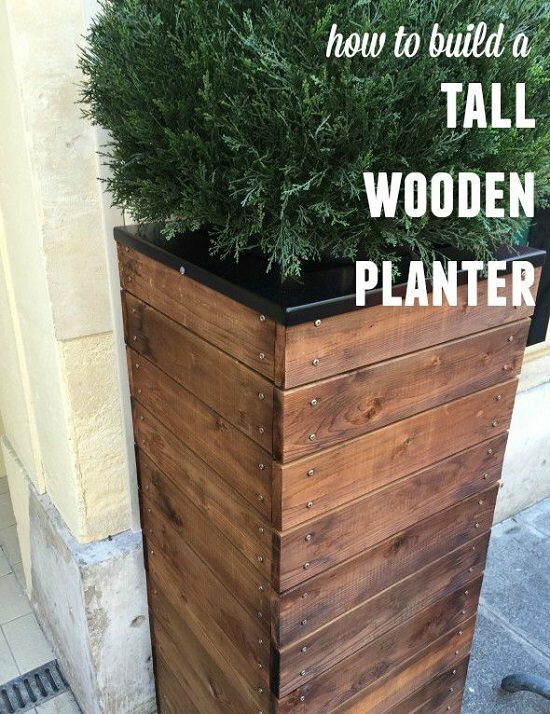 A tall wooden planter like this can increase the curb appeal of your exterior. Visit The Hometalk for the tutorial. 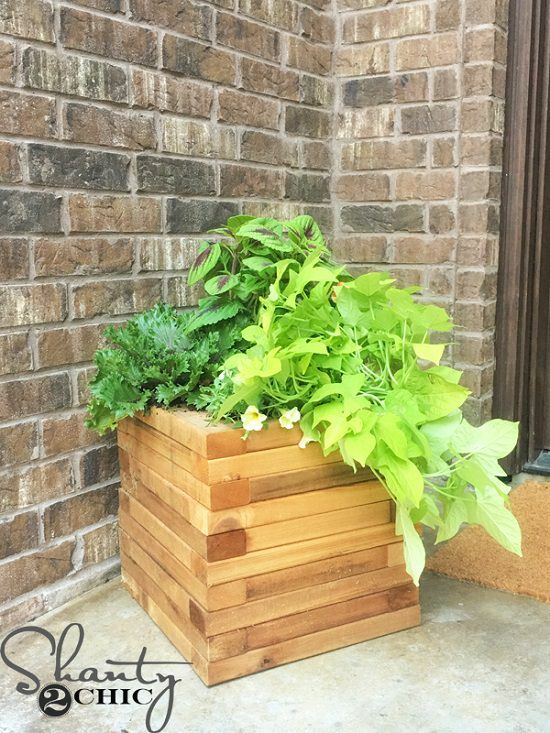 Increase the influence of greenery on your porch by adding a long planter like this. Find the tutorial at MY Love 2 Create. 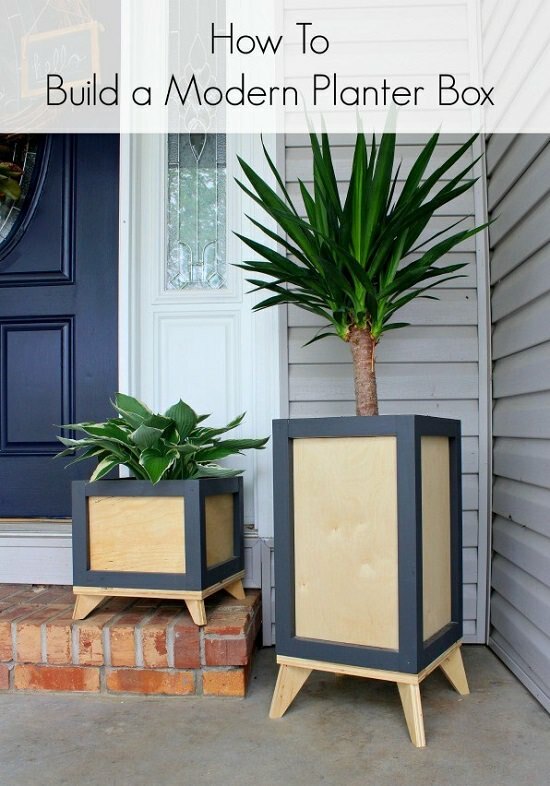 This DIY article shows you how to make an inexpensive, yet appealing gold dipped legs planter for your porch. 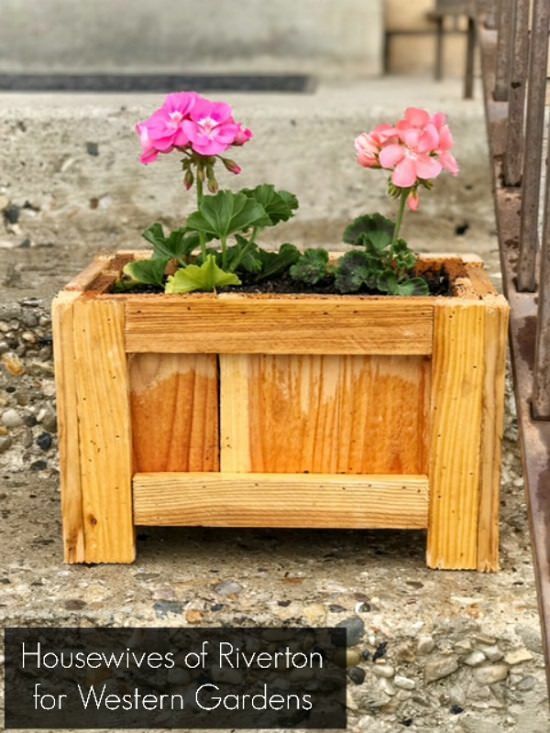 Learn how to make this wooden cedar planter at Shanty 2 Chic. Ask someone to assist you as some woodworking is involved. 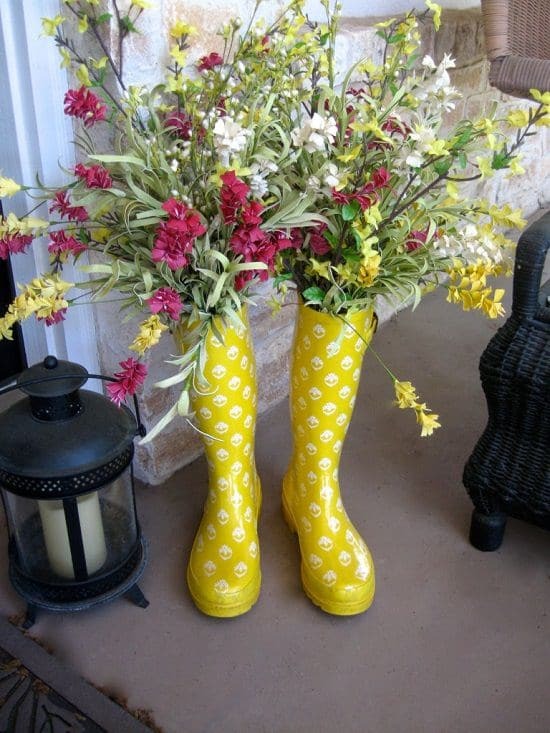 Anything can be used as a planter, including these colorful boots. 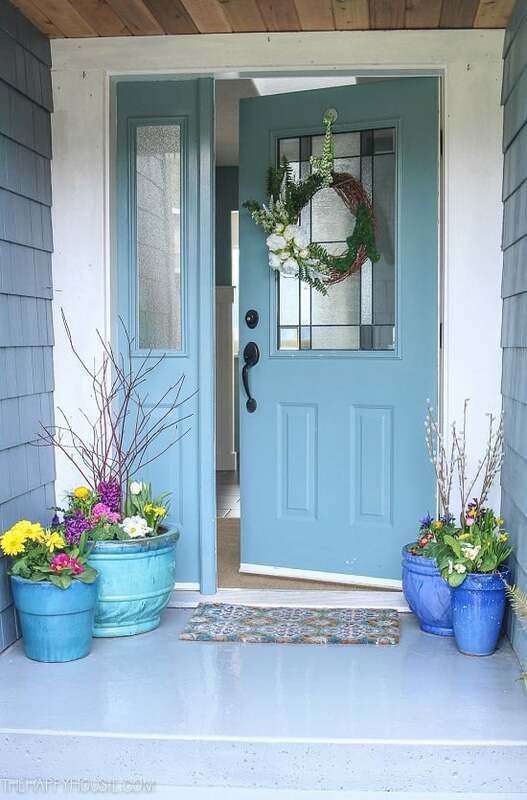 Find something similar for your porch and get started with the tutorial here. 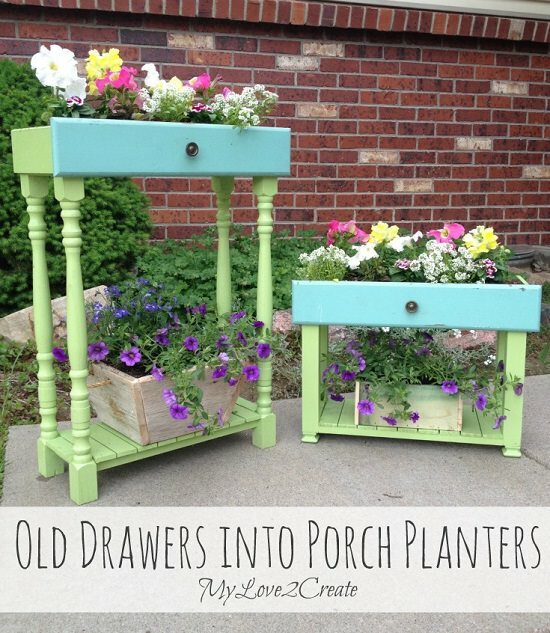 Recycle old drawers into planters and bring them to your porch for the decoration. The tutorial is here. 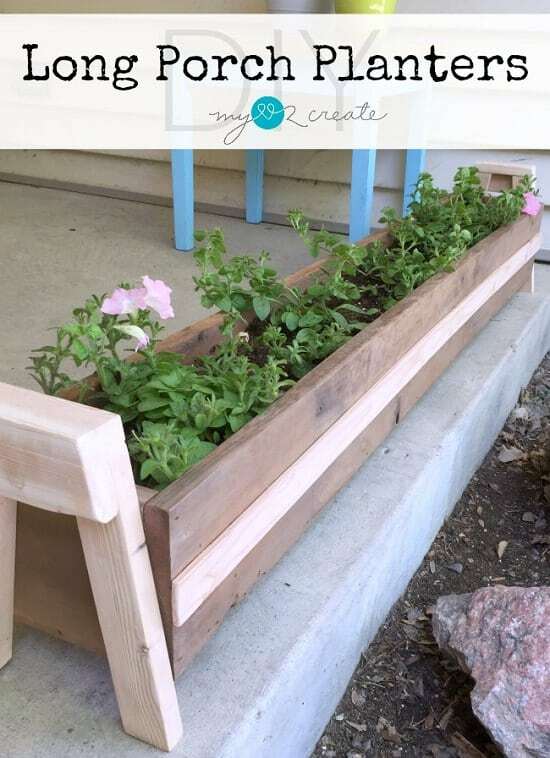 These planter boxes require assistance and DIY skills. The step by step tutorial is here to help you. 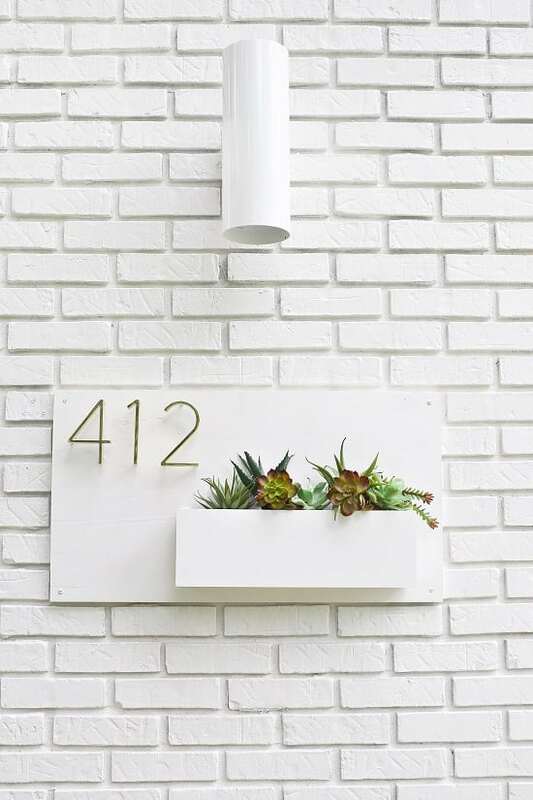 Elsie Larson from A Beautiful Mess shares her experience of rejuvenating her home’s front view by creating this modern house number planter. 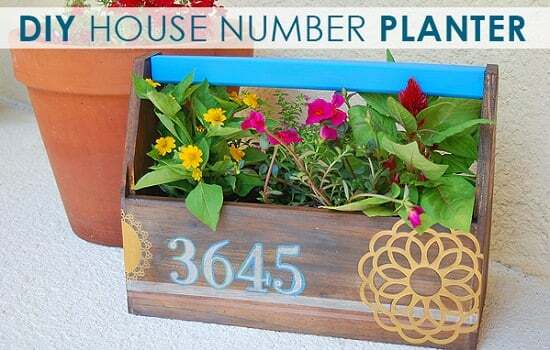 Make use of an old toolbox to make a cool house number planter like this for yourself. The DIY is here. 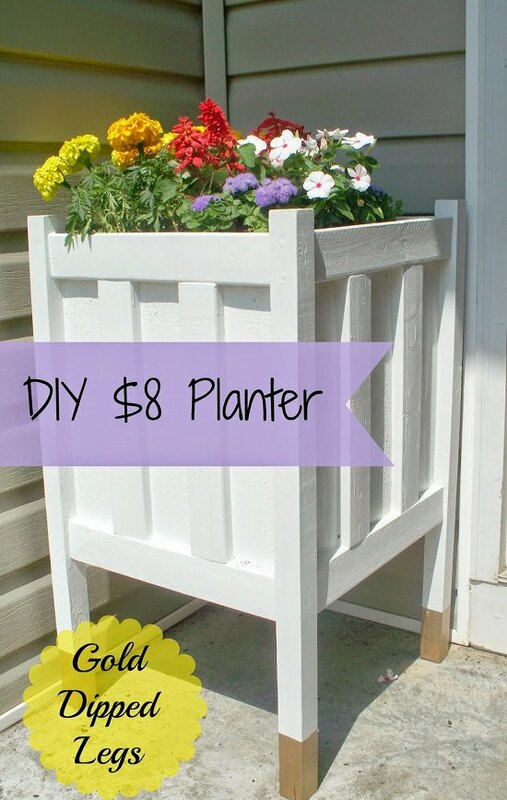 Create a beadboard planter with legs for your home front. Understand the directions here. 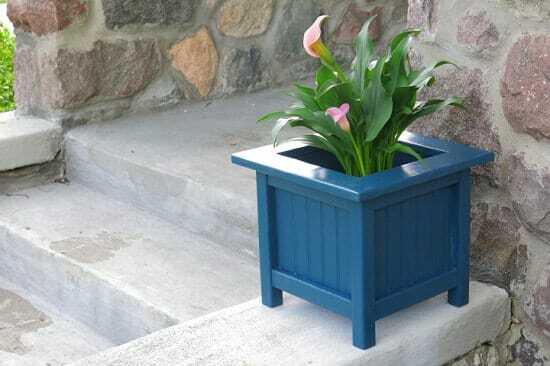 Add a dab of cuteness to your front stairs with this small planter out of wood planks. Get the instructions here. 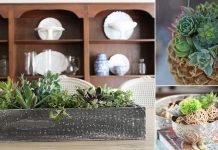 Transform a thrift store sconce into an appealing teacup planter. 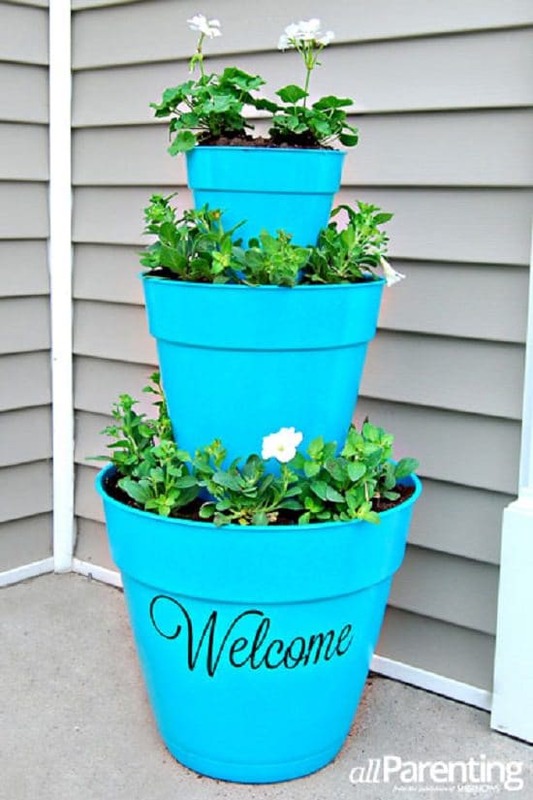 This can be an excellent centerpiece for your porch. Visit Intelligent Domestications for the steps. 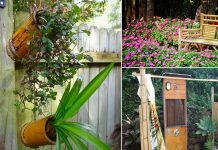 Make planters with trellis to grow flowering vines on your porch or patio. Visit The Lowe’s for the directions. 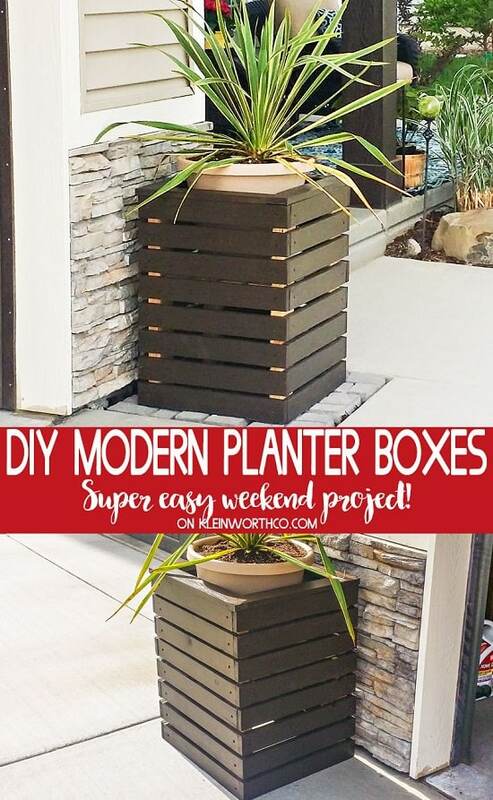 This modern planter box is one of the easiest DIY porch planters in this list. 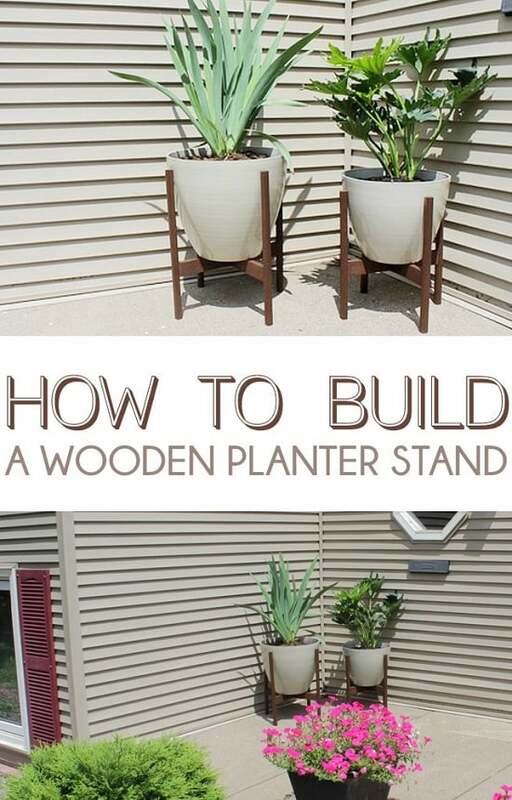 These modern planters were made completely out of wood scraps, try making one for yourself. You can get the plan here. Spring is the season of colors and happiness. 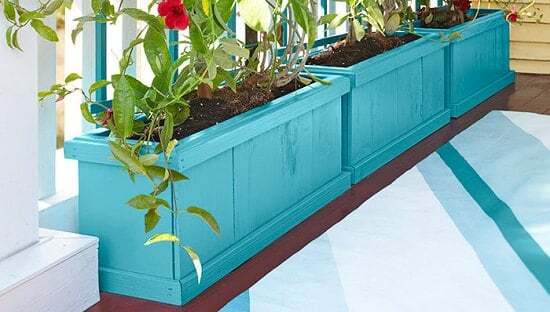 How about welcoming it with a little porch makeover by making colorful planters? Visit the Happy Housie to learn more. 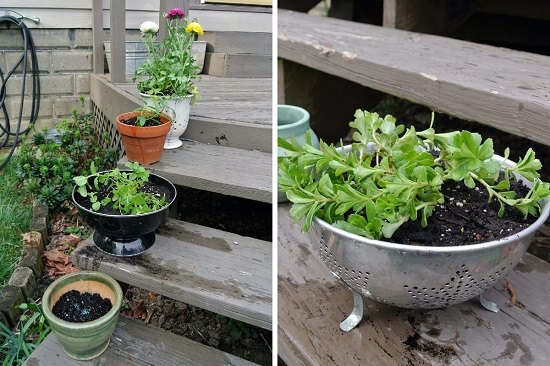 Create a junk garden look by using worn out board, colander, and a galvanized planter. We found the idea here. 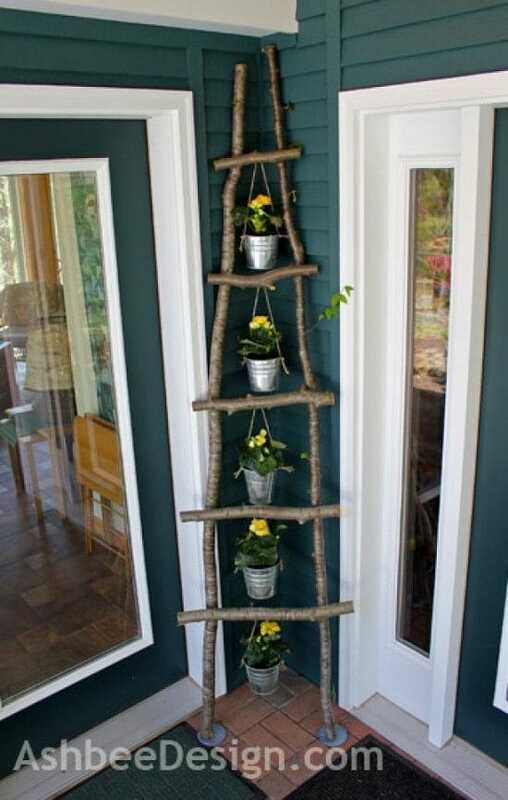 Create a ladder planter out of tree branches. Find the instructions at Ashbee Designs. 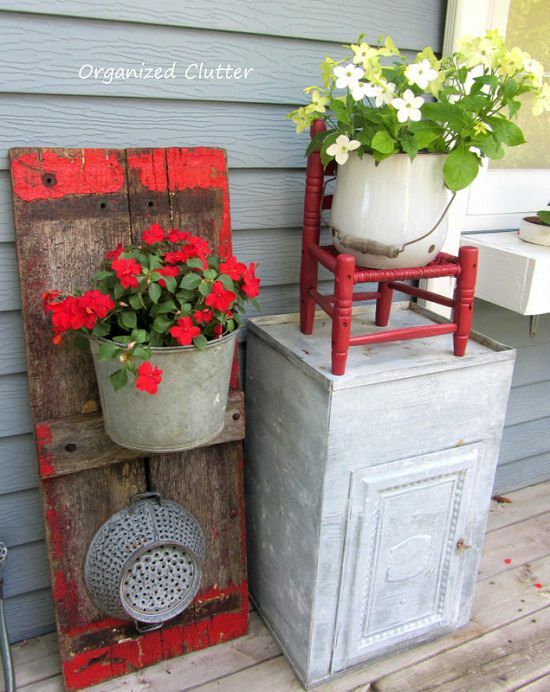 Attach a vintage faucet to any galvanized bucket to make a farmhouse style planter for your porch. The tutorial is here. 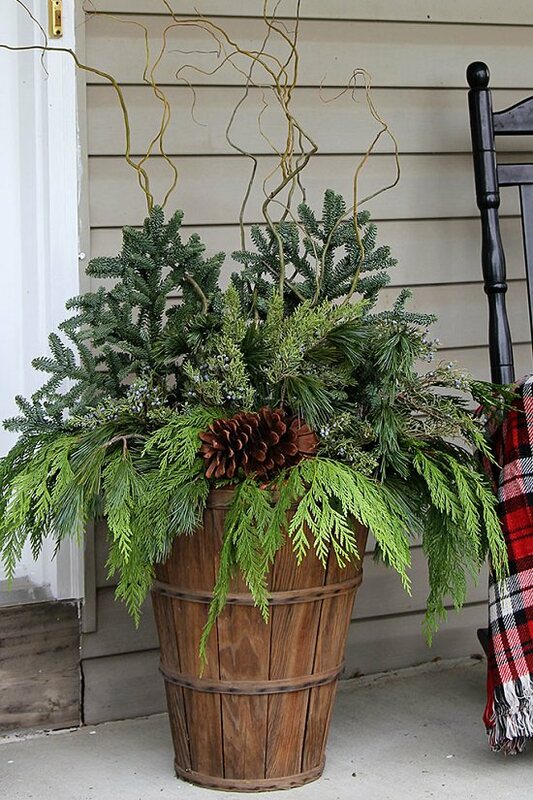 Gather a few basic supplies to make a winter porch pot for your front area. The instructions are here.